This is a movie review l wrote a while back. The movie makes you sit up and get you thinking. About Education and a lot of issues. It is a true life story. Really enjoyed watching the movie. Think you will too. A painstaking insight into the reality of integration in high schools in the United States of America. À movie that reflects alarming yet recurring issues; gang violence and racism. This movie depict the efforts of one extraordinary teacher to look beyond the time tested method of teaching. 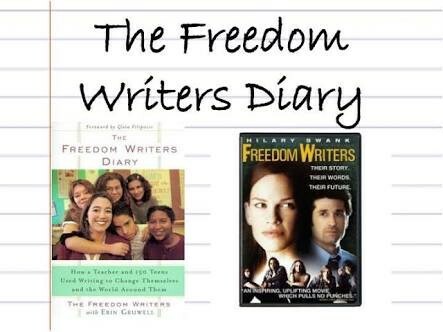 Erin Gruwell addressed the feelings of insecurity, fear, inadequacy, that parents and society at large had fostered on the students of Room 206. She ignites a fire in the hearts of her students and manages to instil in them that quality that is so often elusive to many whose everyday lives are filled with battles, both internal and external _ Hope. She inspires them to look beyond the divides of race, color, poverty, discrimination and dream for change. 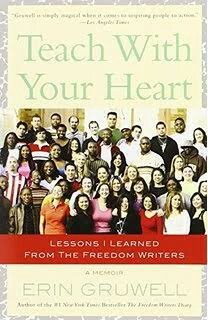 “Freedom Writers” reveals a new system of impacting knowledge. Teaching goes beyond when the school bell rings! Definitely a good movie to see. So, grab your popcorn, some fruit juice and enjoy. Do Check it out on Netflix.